Do I need an EPOS system for my business? EPOS systems works by scanning a bar code on an item when a customer brings it to the cashier. The information contained in the bar code is relayed to the till which will bring up the correct price, and simultaneously the system will remove this item from stock. The EPOS system will provide the customer with a detailed itemised receipt, and you can use the system to provide detailed turnover and other financial information. As a business owner, you can use this information to identify popular and profitable lines quickly and easily. EPOS systems have become increasingly advanced in recent years and are now even more invaluable to retailers. 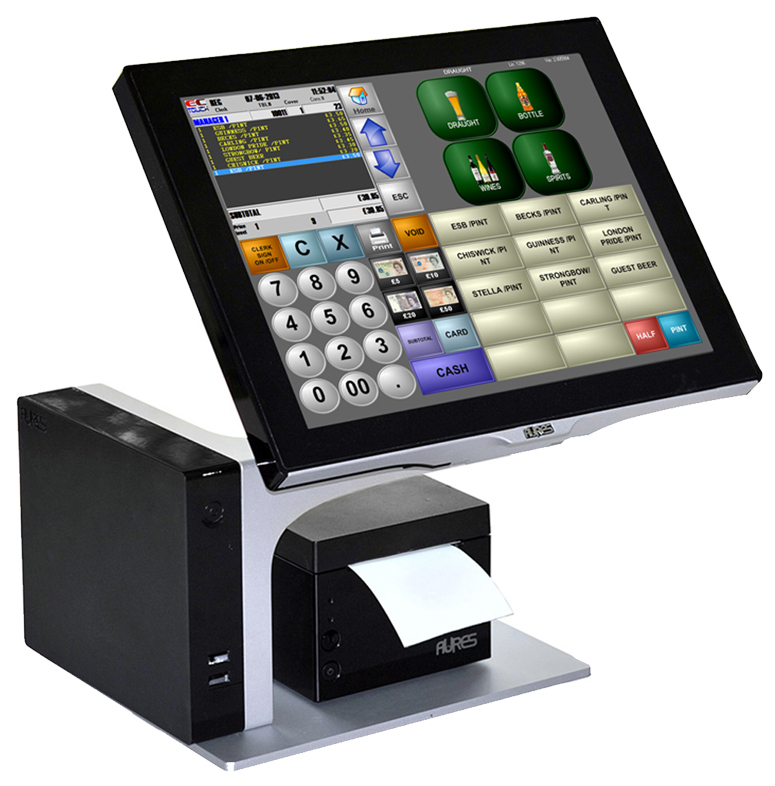 We offer a complete epos hardware and software package including installation, training and ongoing support. Epos Company has over 45 years of experience serving businesses and providing them with their point of sales systems. From the basic to state of the art systems with online ordering, remote order taking, SMS messaging and bespoke programming we can do it. With ECTouch you are able to use a tablet enabling the staff to take the orders from the table increasing turnaround times and reducing the chance of mistakes. Our complete packages use the latest ECTouch technology, chip and pin intergration and remote ordering. ECTouch is the front end software for processing sales which has been designed with ease of use in mind. ECtouch is currently being used in many Hospitality and Retail environments. We at epos company guarantee that the software would be tailored to your needs and functions as you wish. Do not fall for fancy looking software that is not going to deliver any value to your business.